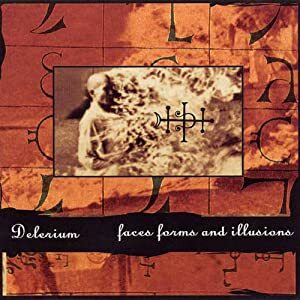 From the late 1980’s, Faces, Forms, and Illusions is a dark ambient instrumental album with an industrial feel. This might be described by saying it could be what you get if you put Nine Inch Nails in a blender with Suspended Memories. Sound fx and very electronic sounding drum machines and bass synth fill most of the tracks. This would fit perfectly in a cyberpunk world. “Monuments of Deceit” makes me think of the streets at night in a film noir setting. “Inside the Chamber” doesn’t have any percussion,so it could also be used for any non-modern setting. The same is also true about “New Dawn”.